For the love of life: Cheery Lynn Designs: Recipe Book! 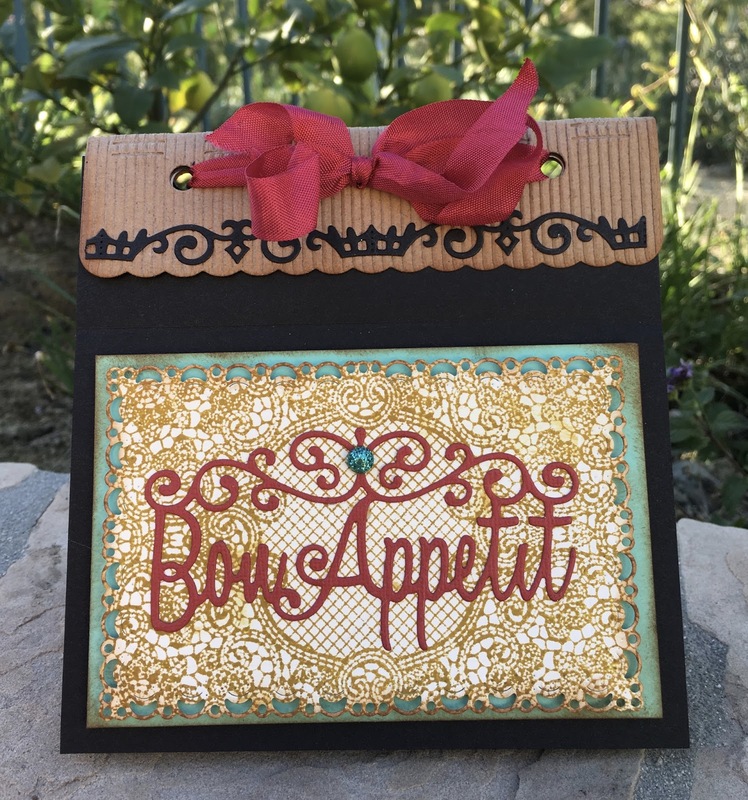 Cheery Lynn Designs: Recipe Book! Hi there, hope you had a great weekend!!! With Thanksgiving just around the corner I thought I would share with you a recipe book created with one of our newest dies, the Memory Book A2 Scallops and Rings. Can you imagine creating a recipe book with all your favorite recipes and give it as a gift to someone? I think they would love it! To create this recipe book I started out using the spine of the book and die cut it using the Memory Book A2 Scallops and Rings out of corrugated craft card stock. Then I die cut my cover pages our of black card stock and my insert pages out of cream color card stock. I die cut a smaller size of the Horizon Rectangle Boutique Stacker Frames out of cream color card stock and stamped my pretty background image on it which is the Lace Background stamp by JustRite Papercraft. I die cut the Bon Appetite out of a deep red card stock and placed it on the stamped panel, which I backed up with a light turqouise card stock to make it pop. I added a little turqouise pearl on top. I also die cut one of the borders from the Royal Scandinavian Border Set out black card stock and added it to my spine as a decorative touch and finally tied it all together with a red seam binding ribbon. Well, hope this inspires you a little to create some recipe books to give away as a gift! 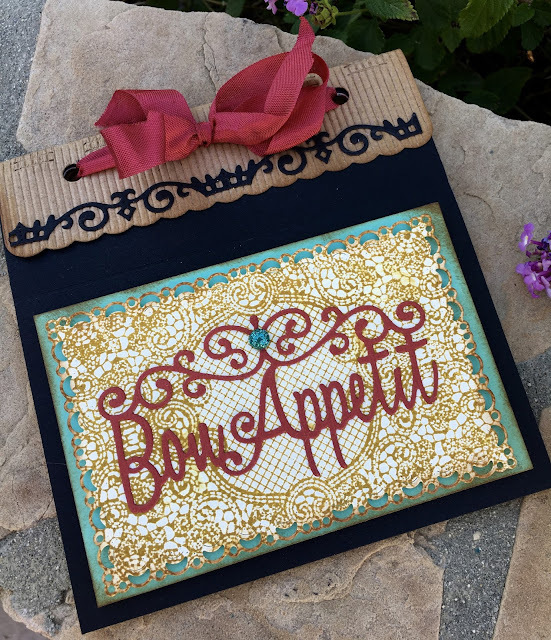 Thanks for stopping by and hope to see your creations in this week's Cheery Lynn Designs challenge.